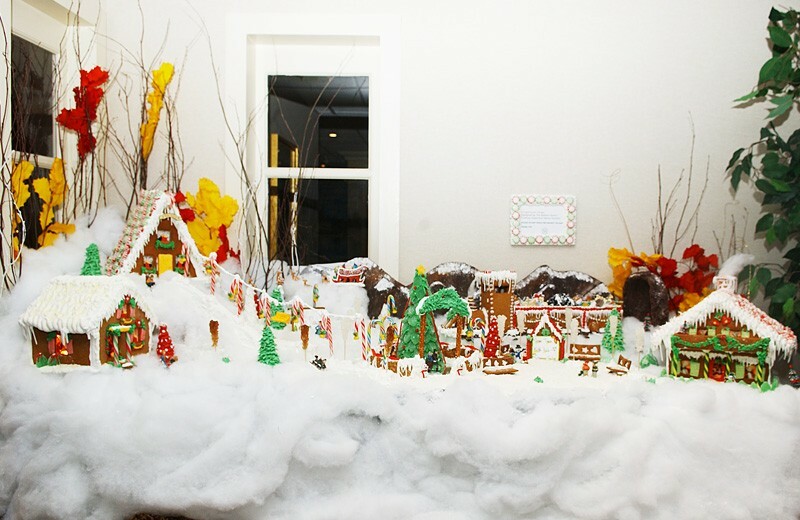 The magical Gingerbread Village is displayed in the lobby of The Radnor. 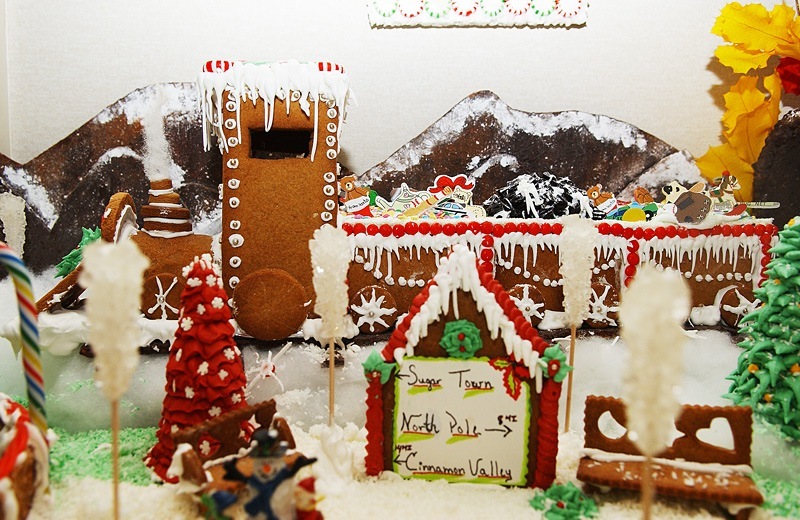 The village is complete with Ski Slope, Ice Rink and a Train carrying toys and coal! 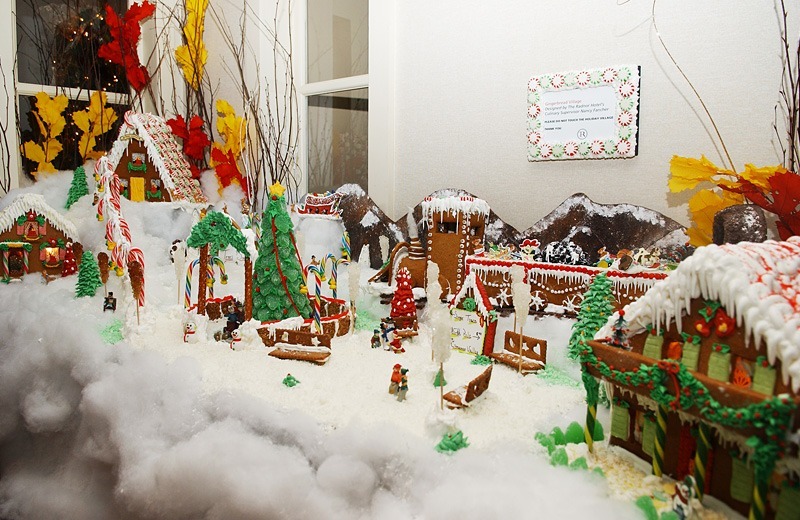 The Gingerbread Village is designed by The Radnor Hotel’s Culinary Supervisor Nancy Francher. 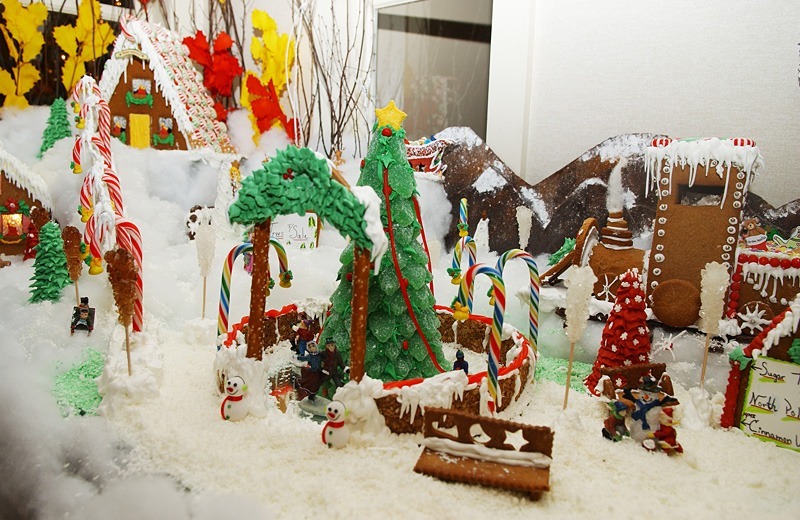  Nancy has been working on the village since early September.